WHO: The Chronicles of Narnia: The Voyage of the Dawn Treader stars Georgie Henley (Lucy Pevensie ) and Will Poulter (Eustace Clarence Scrubb) will give shoppers nationwide a sneak peek at their holiday motion picture event and The Shops at Willow Bend’s enchanting new Holiday display, The Ice Palace. WHAT: The Shops at Willow Bend in Plano will transform into a winter wonderland with the debut of the Ice Palace. Brimming with the magic of winter and the essence of holiday snow globes, the soaring 30-foot Ice Palace appears to be literally carved from ice. The exhibit features highlights from this holiday season’s highly anticipated movie, The Chronicles of Narnia: The Voyage of the Dawn Treader from Twentieth Century Fox and Walden Media. To celebrate, the stars from the film will host a lighting ceremony in Los Angeles that will be streamed live to 15 shopping centers across the country. Children will be given LED wands to wave simultaneously to illuminate the Ice Palaces’ nationwide, ushering in the holiday season and the arrival of Santa Claus. 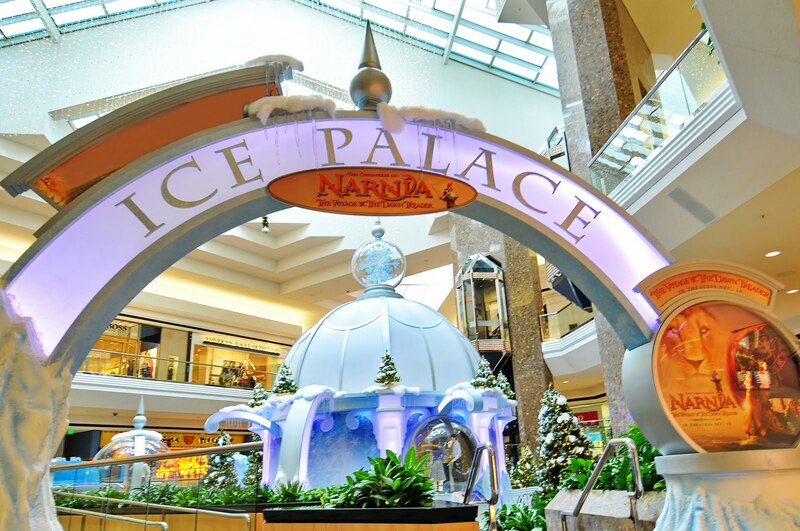 Shoppers can continue to experience the groundbreaking, multi-sensory Ice Palace exhibit between November 12 and December 24. The first 200 families to the Ice Palace’s on November 12,will receive a voucher for a free commemorative photo with Santa that can be used that evening or any time prior to November 24.